I am so glad I took my owner-aggressive dog, Piccolo, to Trish Loehr. My husband and I were at wit’s end trying to manage his behavior. We love our dog, – he is smart, friendly to everyone and he is adorable. He is only reactive with my husband and occasionally with me, and then just in certain situations. 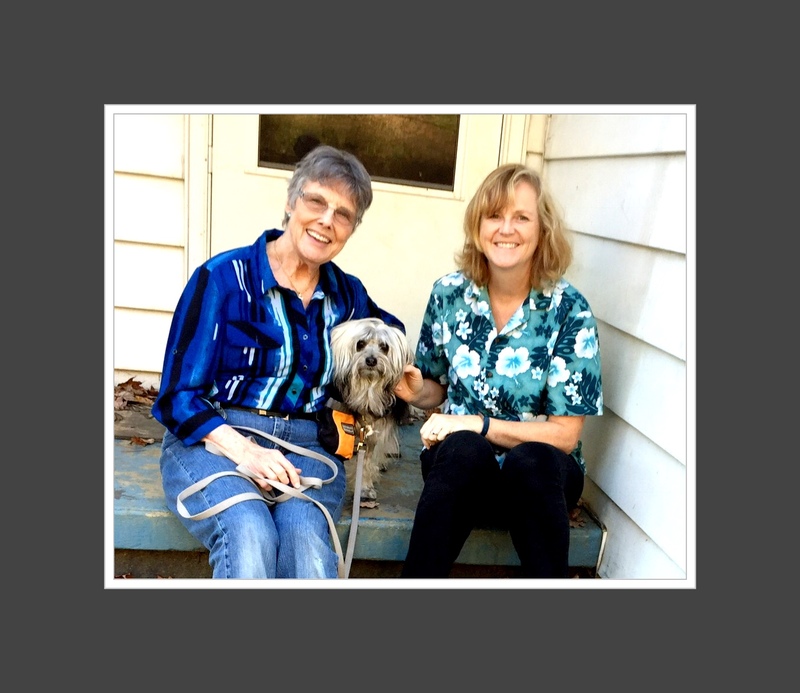 Whether you are having behavioral issues with your animal(s) or you just need help with training them, Trish is quite simply the best person to call. 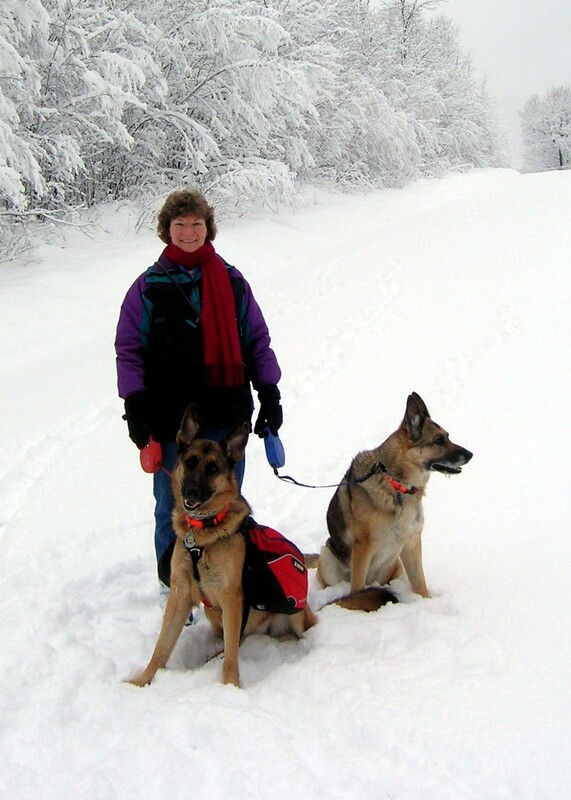 Trish’s unique combination of knowledge, experience and genuine love for animals make her a truly gifted behaviorist and trainer. She has helped our family (on more than one occasion) solve some very difficult problems with our dogs, restoring harmony and order to our home. So if you are having problems with your pet(s) and need help to understand what is going on and how to lovingly and effectively address it, I suggest that you call Trish first! I imagine many people end up seeking the help of a animal behaviorist after they have exhausted everything else in their handbook. I’m ashamed to say I was the same way, but I’ll never be that person again. Allow me to share a little bit about me and my dog, an five-year-old English Mastiff named Gulliver. Gully, as we sometimes call him, was a “foster.” He came into my life at an interesting time. After years of living on our own, my boyfriend and I decided to cohabitate ourselves and our animals and move into a rental home with brand new landlords. They weren’t exactly thrilled with the crew we had already (three cats and a fifty pound Lab mix). 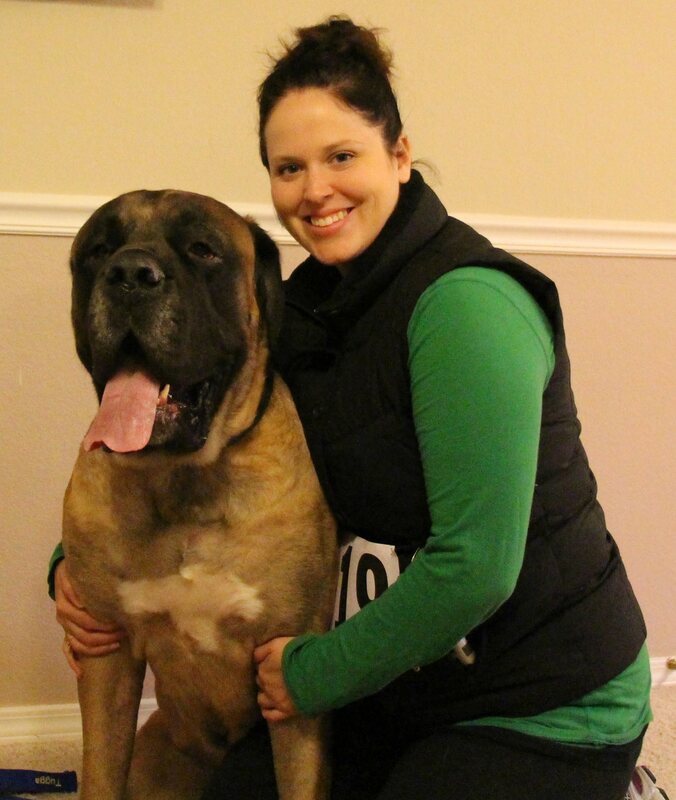 After MUCH negotiating and extra security deposits, our new landlords agreed to allow a Mastiff to come stay with us. I picked my “foster” up from animal control. He was 98lbs, recently neutered, scared of his own shadow, and not potty trained. Great. We diligently worked on potty training (he caught on quickly thankfully) and put weight on our boy. 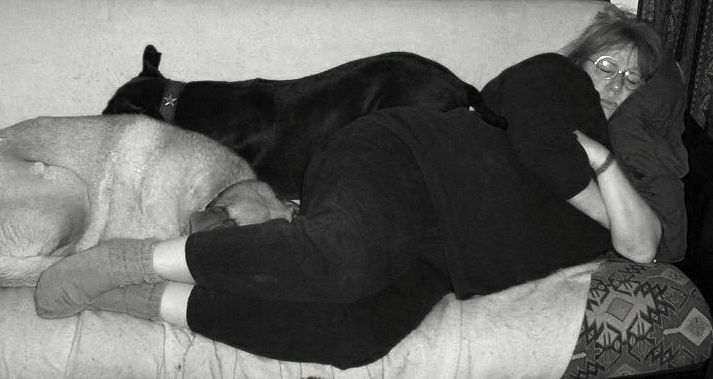 He was a perfect angel with every creature he met – human or animal. He had been dumped in the middle of the country and left for dead. He survived on wild blackberries and was found with wounds all over his body and was infested with fleas and ticks. He had very little confidence and loved to be smothered with attention. About two or three weeks into Gully being with us, I started to notice a significant amount of drool in his crate when we’d leave him. Huh. Then, not soon after, I’d come home to him covered in drool, panting, and with bloodshot eyes. Uh oh. I could see the signs of some mild separation anxiety. I volunteer with Mastiff rescue, have been through numerous dog training classes (obedience, agility, utility, therapy dog, etc), and have worked in shelters and in vet clinics. I’m no expert, but I’m not a dummy either. I started throwing what I knew at him. Nothing worked. In fact, it only got worse, and rapidly. I was in constant contact with the rescue, but he was so beyond anything they had dealt with before. I started coming home to find him breaking bars of the crate (and his teeth! ), bloody face and feet from ramming/digging at the crate. Eventually, he learned how to escape the crate altogether no matter how many reinforcements we tried (zip ties, bungee cords, ratchet tie downs, etc). He started destroying our house. In a few weeks time, he destroyed…our couch, a North Face winter jacket, two pairs of shoes, sunglasses, prescription glasses, 3 pairs of scissors, a picture frame, permanent markers, tubes of lipstick, the remote, a set of car keys, dog and cat beds, a canister of paint, kitchen appliances, a set of blinds, a power strip, and finally…he ate an outlet cover and pulled wires from INSIDE the wall into our living room. During these episodes, he was also so worked up he’d frequently have accidents. Mastiff-sized accidents + down feather explosion do not equal fun. 1. Thank goodness he didn’t die and 2. THIS IS A RENTAL. This was not going to work. At this point, my boyfriend and I knew we could not adopt out this dog. Not only was it unfair to the owner, it was unfair to Gulliver. The last thing this boy needed to feel was abandoned again. We needed to make this work. We were a few thousand dollars in for vet bills, anxiety medication (don’t think we didn’t think about taking a few ourselves after all this! ), calls to the ASPCA Animal Poison Control Center, replacing items, and finally a custom built, steel dog crate. The last thing we wanted to do was throw more money at the problem by hiring a behaviorist. Sorry Trish, but as much as I’m embarrassed to say this, we weren’t sure if her services would help. Now I know it was the FIRST step we should have done. Trish was, and is, absolutely wonderful. From the point we started, Gulliver could be kept in another room (or in the crate) for 90 seconds before starting to have a meltdown. Trish provided suggestions that she made sure fit our lifestyle and was a source of constant support. I remember calling her, with tears of joy, when Gulliver spent eight, stress-free, minutes in his crate. I could genuinely feel that she was right there with me celebrating his success. We were making progress! I’m happy to say that after months of hard work, Gulliver is more than capable of spending five, stress-free, hours in the crate!!! He is a much happier and confident dog and Trish’s help has literally changed all of our lives. I have, and will continue to do so until I’m blue in the face, recommended Trish’s services to anyone I know who may be in need of some behavior help or training. Trish is creative, thoughtful, and BRILLIANT! Hiring Trish to help with Gulliver very likely saved his life (who knows how long we could have gone without a foreign body obstruction) and our sanity. From the bottom of my heart, thank you!